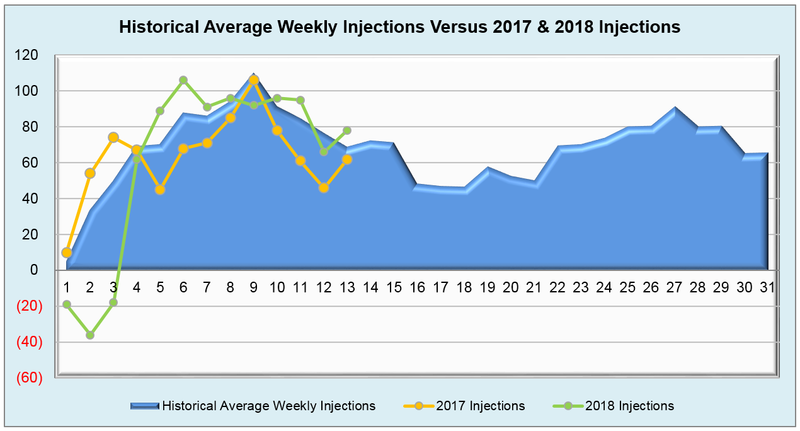 The thirteenth week of injection season has provided little motivation in regards to pushing Henry Hub futures upward as a slightly bearish 78 Bcf injection managed to edge past the 75 Bcf market expectation. 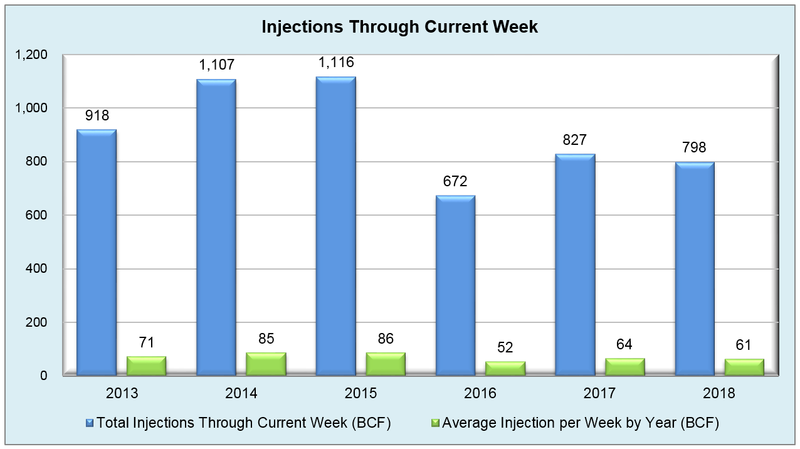 While seemingly unremarkable in terms of fundamentals, this week’s storage value exceeded last year’s injection and the five-year average of 60 Bcf and 70 Bcf respectively. Notable causes of flat to lower prices include the seemingly always present fact that U.S. production continues to thrive and an expectation of more forgiving climate patterns, specifically in the Northeast and Midwest, are potentially on their way in the latter part of July. The market’s response to weather seems to have dulled in favor of other fundamental factors, so, while weather continues to be a key aspect, the focus has certainly shifted to the recent record-setting production and power demand that we have seen over the summer. 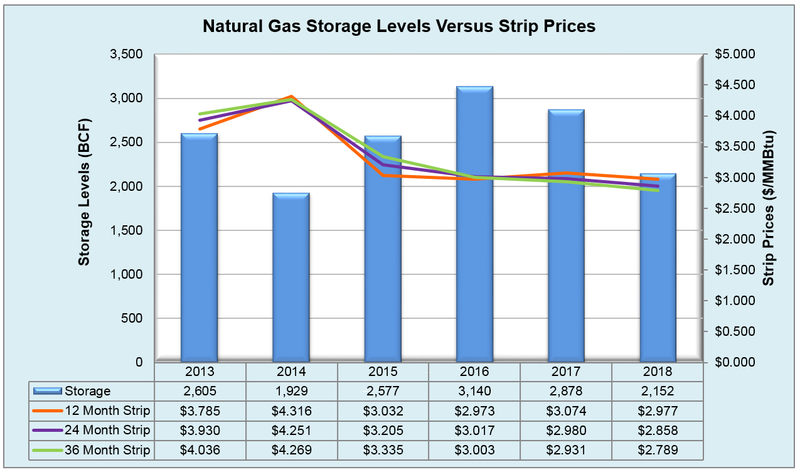 Working natural gas in storage currently stands at 2,152 Bcf, which is 717 Bcf (25.0%) lower than this time last year and 493 Bcf (18.6%) lower than the five year average. The August 2018 NYMEX Futures price began the day around $2.83/MMBtu prior to the report’s release, but has slightly increased to $2.85/MMBtu after the report was posted.